Typically a wheel or wedge-shaped slice of lime, or a strip of lime peel (twist) used as a garnish. 1/2 of a lime with the fruit removed is known as a lime shell, and is a notable garnish in drinks such as the Moscow Mule. 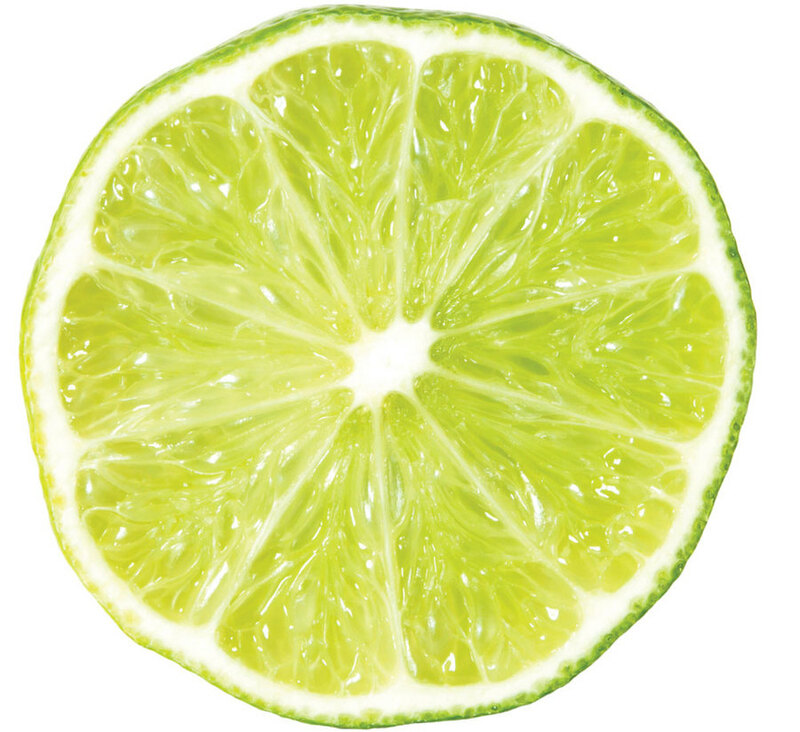 Lime is also the basis for juice, syrup, liqueur, and spirit used in drinks.